This will be a class inspired by Contemporary and Caribbean dance, Release Technique, Animal Flow and Yoga. We will seek liberation and flow of movement, by strengthening our grounding to the earth and finding the elasticity of our core. From shifting our weight in lower spaces of gravity, to slicing space, changing levels and textures of movement. We will integrate movement patterns and rhythms, travelling through the room. Inviting an acute focus, finding accuracy, breath and clarity. In an energetic and playful environment we will revitalise our senses, build strength, stamina and open our awareness. Class will be accompanied by live music (beat box). Akeim is a multifaceted performing artist, born in Jamaica and raised in England. He seeks to create moving, thought provoking, accessible and free spirited projects with different performance art forms. 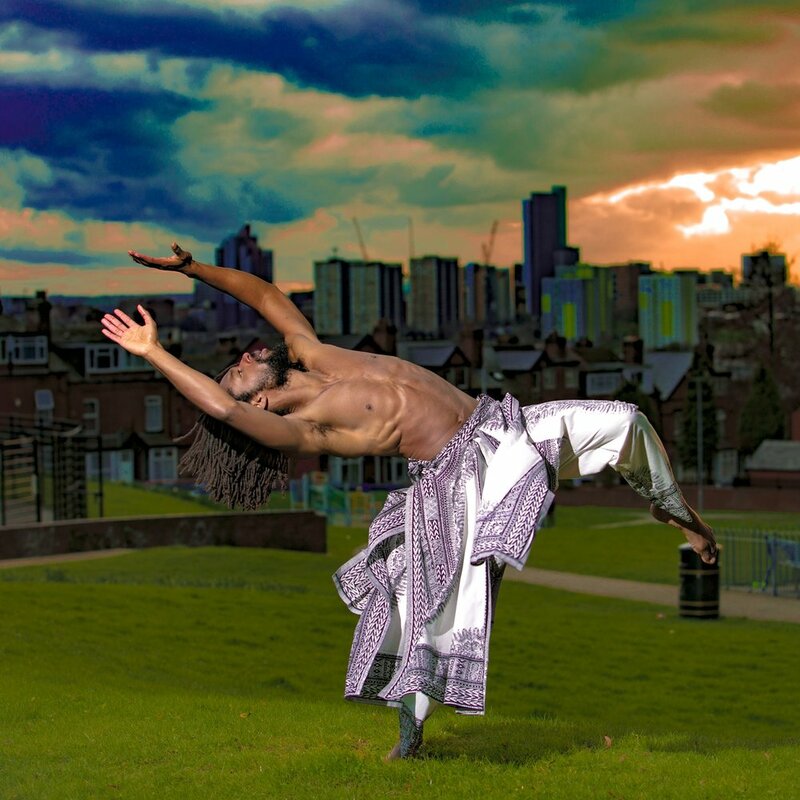 Since graduating from the Northern School of Contemporary Dance with a first-class honours Bachelor degree in Performing Arts, Akeim has been involved in cross disciplinary projects working with a wide range of artists from around the world. His focus as a maker and collaborator is to combine expressive skills such as dance, writing poetry, beat-box, singing and acting to create performances telling stories that galvanise diverse audiences.